You have a bunch of friends coming over to watch the big game…what do you make to eat?! 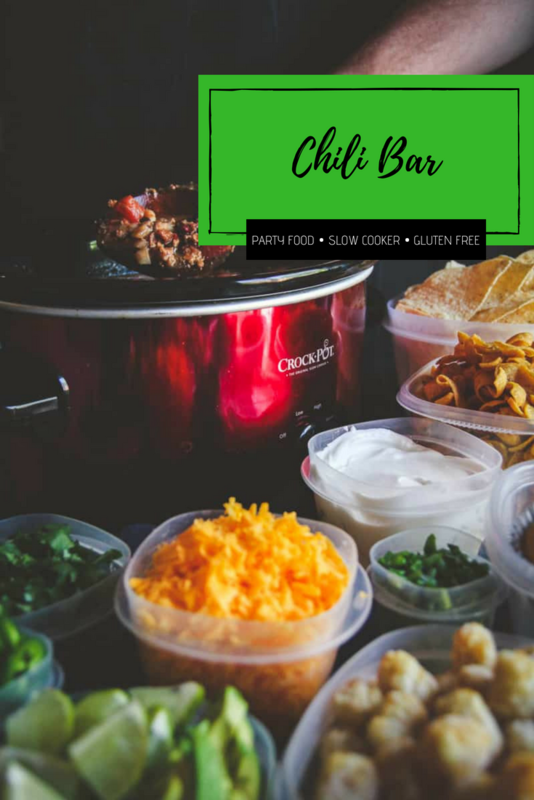 After being faced with this time after I time, I can now tell you, the way to go is to make a slow cooker chili bar for a party! 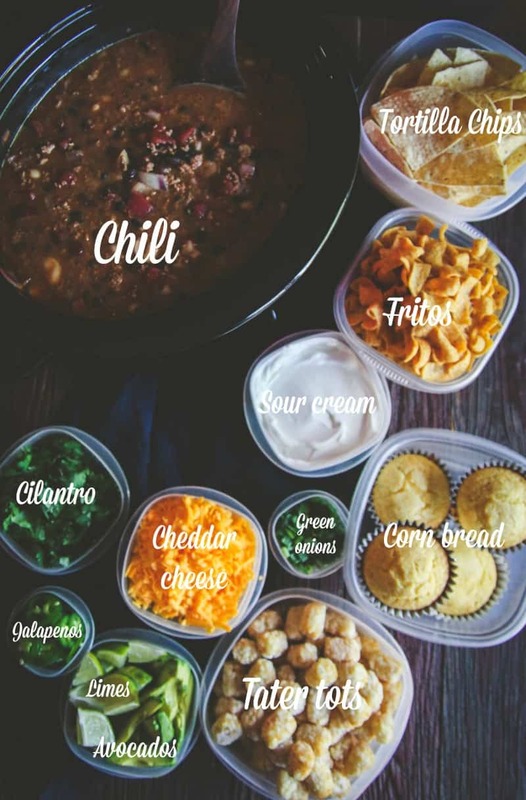 Everyone loves chili, and with a bunch of different toppings, there is something for even the pickiest of eaters! 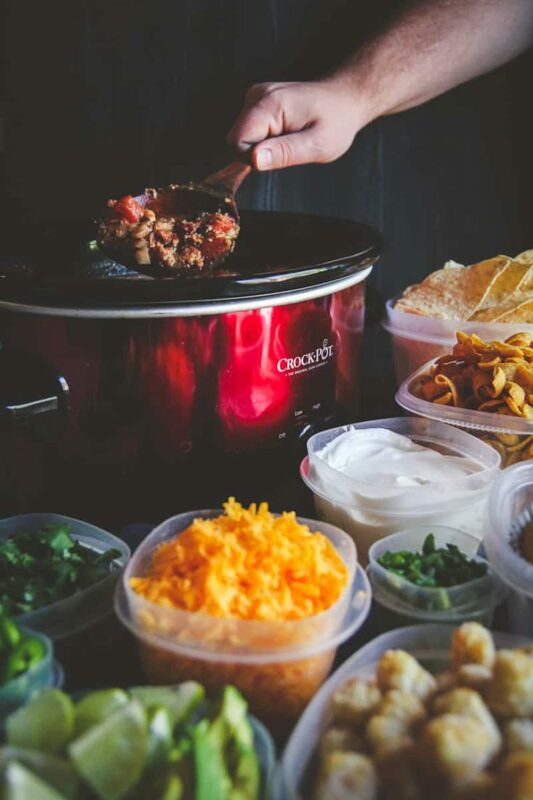 The best part about this crock pot chili bar? 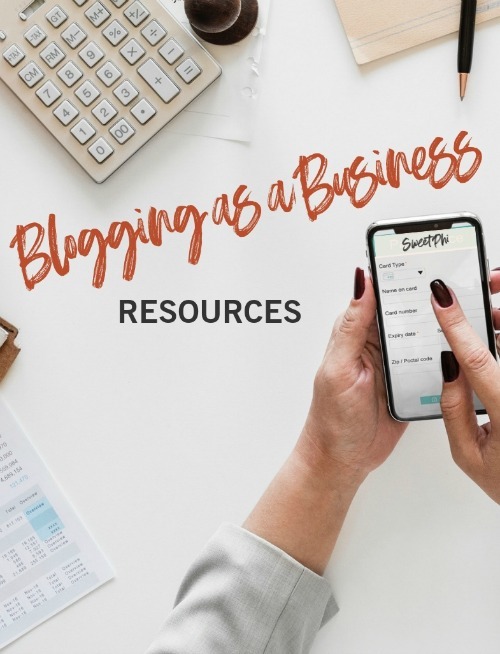 Everything can be made ahead! AND since it’s a crock pot recipe, you just set it and forget it and it cooks itself. 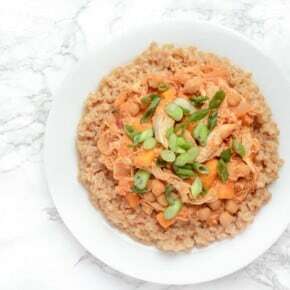 I hate slow cooker recipes where one has to brown things or cook things before they go in the crock pot, so the really amazing thing is that with this recipe the ingredients literally just go in the slow cooker! 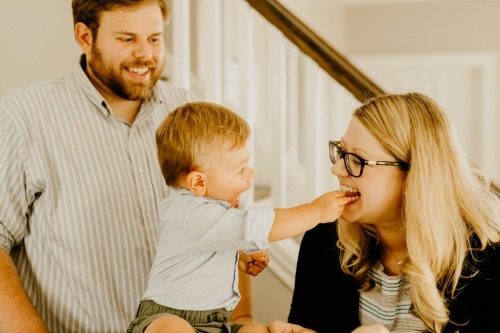 One of the things that typically happens with parties is that most of the time, the host is busy in the kitchen! Well, not with this slow cooker chili bar. The chili cooks itself to perfection in the slow cooker. This is the one I have – I actually have two of the exact same ones, just different colors and am thinking of getting a third, because they’re so awesome for parties. 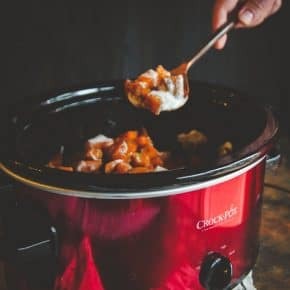 In fact, this past weekend I had a party and all the food was in the slow cookers (I made these 5 ingredient slow cooker cheesy potatoes) and it’s totally what I’m going to do from now on, it was so nice to have the food done and to be able to enjoy time with the guests. This crockpot chili it so delicious. 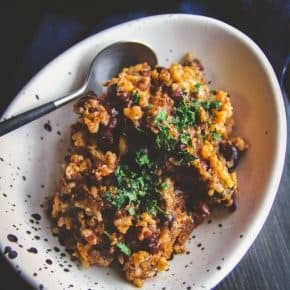 It has hints of spice and just the right combination of beans in it. After making this recipe many times, I will say that it turns out best when it’s cooked for 8 hours on low. Towards the end, it really comes together so that it’s thicker, versus soupy. 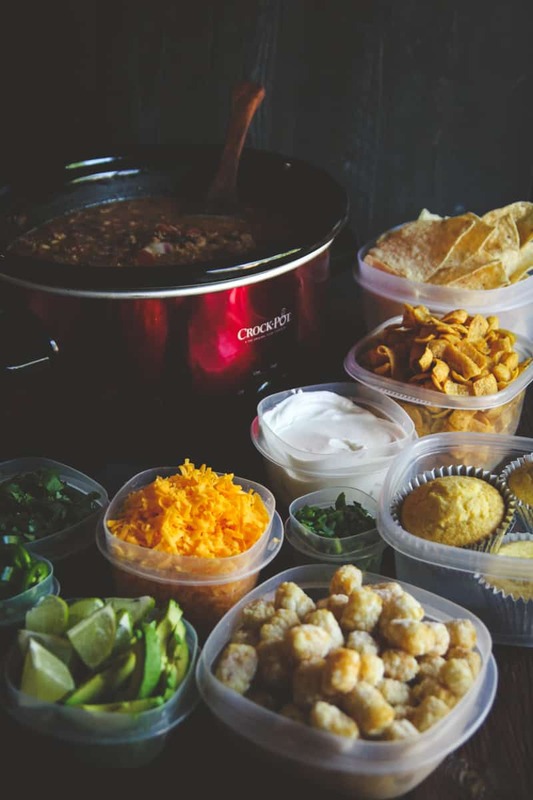 My husband now requests slow cooker chili bar for parties with his friends: football parties, wrestling parties (what to make for a WWE party is a topic of conversation I did not think I’d be having in my adult life lol) and family Sunday dinners. Now I’d love to know – what are your favorite chili toppings? Put first three ingredient in a slow cooker (ground beef, chopped onion, garlic cloves) and break up the meat either with a spoon or with your hands. I just use my hands and massage the meat to break it up and incorporate the onions. All all remaining ingredients to the slow cooker and turn on low and cook for 8 hours. A few times throughout cooking, stir the chili and break up the meat. Chili will thicken towards the end. 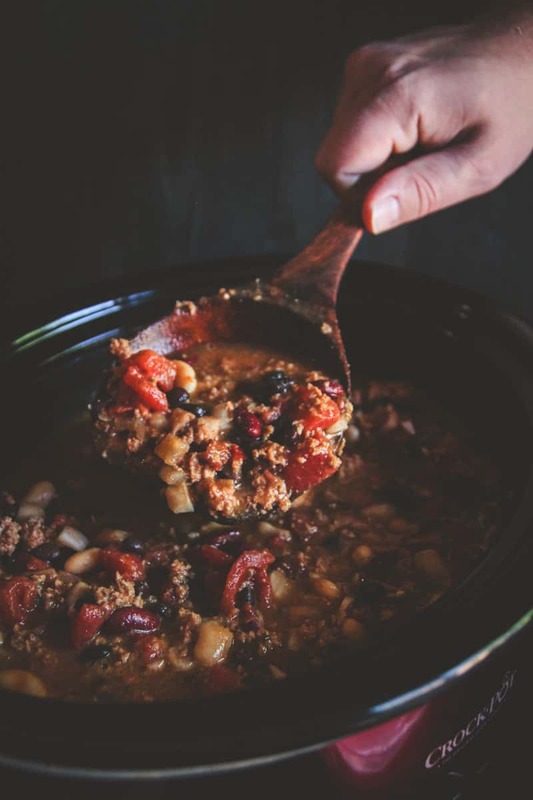 Turn slow cooker setting on warm, and you can leave the chili in the slow cooker for hours and keep it nice and warm for guests. Serve with toppings of choice. 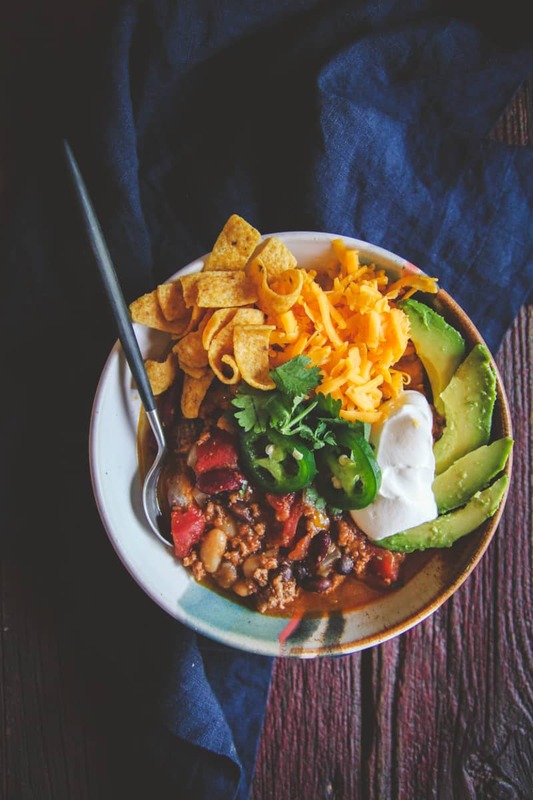 My hubby has requested this just for the two of us too, in that case I just 1/2 the recipe and only make our favorite toppings (fritos and sour cream with an avocado for me lol)! Btw, I’m totally reading through your book list and totally loving it, I’m 2 books in and am finishing a 3rd tonight! Yummy! This dish is so palatable and appetizing. I can’t wait to give it a try. Excellent party dish!